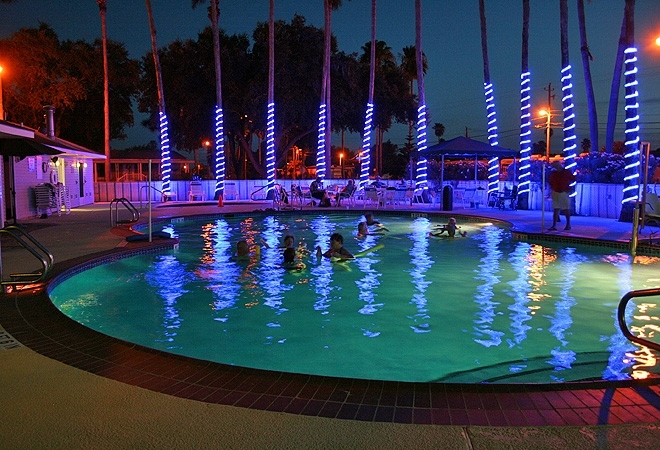 Visit Alamo Palms RV Resort and discover a world that encompasses the true Texan lifestyle away from the stresses of city life. Our luxurious gated community is located in the marvelous Rio Grande Valley, surrounded by citrus groves and palm trees in a beautiful, tropical setting. Our age-qualified resort offers RV sites, as well as rental accommodations including travel trailers and park models for permanent and seasonal residents.